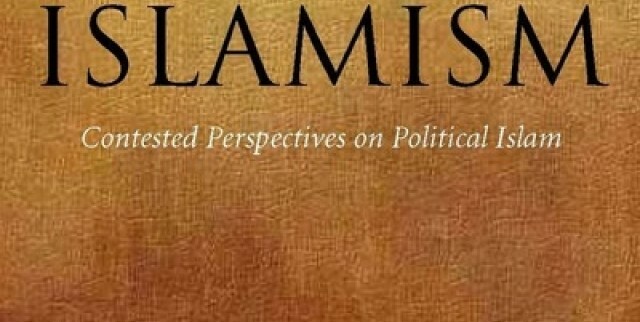 Is the term ‘Islamism’ so politicized that scholars should abandon it? This is the core question addressed in this important collective volume edited by Emory University scholars Richard Martin and Abbas Barzegar. 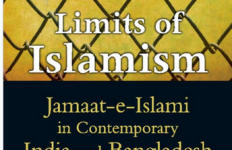 The book is structured as a debate and opens with two chapters that take opposing views on the utility of the term Islamism. In the red corner: Hofstra University Professor Daniel Varisco, who wants to scrap the term; in the blue corner: Stanford Professor Donald Emmerson, who wants to keep it. Thirteen contributors are then brought in to comment on the opening essays; then, finally, the two protagonists respond. We learn from the introduction that the book project was born out of a panel debate at the 2004 meeting of the Middle East Studies Association (MESA) in San Francisco. The person who originally threw down the gauntlet and organized the MESA panel was Professor Varisco, whose book chapter is also the most provocative. In his opening statement, Varisco argues that academics should stop using the term Islamism, because it uniquely associates Islam with violence and fosters Islamophobia. He suggests that the word gained popularity because it ‘captures the extremism and terrorism that so many commentators […] wish to ascribe to Islam.’ There is no need for such a term, he argues, since straightforward adjectival constructions such as ‘militant Muslims’ are perfectly adequate. After all, there is no equivalent word for similar phenomena in Judaism or Christianity. Emmerson disagrees. In his view, the term Islamism should be preserved, because it helps analyse the spectrum of actors who are committed to public action in the name of Islam. He recognizes and denounces the tendency to associate Islamism solely with violence and recommends an inclusive understanding of the term. Violent Islamists do exist, he notes, but so do non-violent and even progressive ones. He endorses James Piscatori’s classic definition of Islamists as ‘Muslims who are committed to political action to implement what they regard as an Islamic agenda’ (though Emmerson proposes to swap ‘political action’ for ‘public action’ in order to capture social activism). He advocates a linguistic strategy of ‘Islamism with adjectives’, i.e. qualifying ‘Islamist’ as either violent, liberal, authoritarian or something else. Used in this inclusive sense, he argues, the term Islamism adequately balances the concern for accuracy of description on the one hand and consideration for Muslim sensitivities on the other. The twelve subsequent chapters, written by thinkers from a variety of backgrounds, come down fairly evenly on both sides of the debate. I count five ayes, five nays and two abstentions. Of course, the contributors do not simply endorse one side, but add numerous important points, observations and perspectives. On Varisco’s side, we find two academics (Amir Hussain and Syed Farid Alatas) and three activists (Hasan Hanafi, Nadia Yassine and Feisal Abdul Rauf), all of whom share the view that the term Islamism is an instrument used by Western media and governments to single out Islam as a religion of violence. All reject the notion of a clash of civilizations but see the term Islamism as an obstacle to interreligious dialogue. However, they do not all view the terminology issue as equally important. For Hasan Hanafi, the Islamism debate is basically a technical argument among Western orientalists, and for Nadia Yassine, linguistic biases matter less than the real political dominance by the North over the South. Syed Alatas on his part rejects the term on the basis of its analytical inadequacy as opposed to its political side-effects. To Alatas, Islamism is part of a Eurocentric social science vocabulary that fails to capture socio-political phenomena in the Muslim world because it ignores indigenous terminology. On Emmerson’s side we find university academics (Graham Fuller, and Ziba Mir-Hosseini/Richard Tapper), think-tank scholars (Hillel Fradkin and Angel Rabasa) and one activist (Zuhdi Jasser), all of whom view Islamism as referring to a real and discrete political phenomenon in need of some descriptive term. For Graham Fuller, it does not matter what we call it, so long as it captures the spectrum of actors from progressive to violent. Islam scholar Bruce Lawrence stays on the sidelines, from where he makes incisive observations on what the debate says about Western academics. The terminological dispute reveals disciplinary schisms, especially between the humanities and the social sciences. It is no coincidence, he argues, that Varisco is a social anthropologist with an interest in linguistic theory while Emmerson is a political scientist. Lawrence could have added that the debate is indicative of a political rift that seems to run particularly deep through American academe. 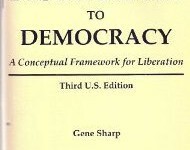 The book would have benefited from a wider range of views, especially from writers further to the right than Hillel Fradkin. It would also have been interesting to get a perspective from at least one scholar not invested in the study of the Muslim world. A mainstream political scientist or language philosopher might have refreshed this distinctly in-house debate. 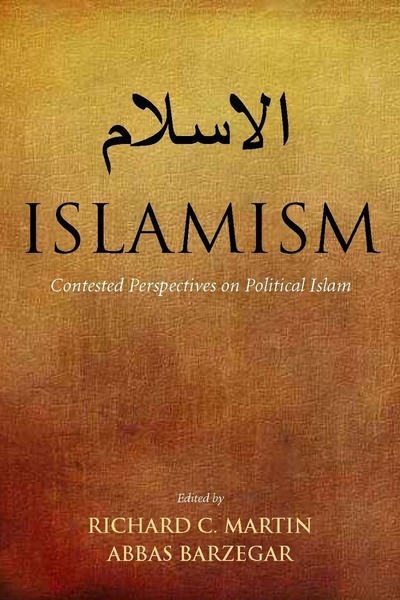 On the whole, however, this is an important book and a valuable contribution to the literature on political Islam. I suspect the term Islamism is here to stay whether we like or not, but Daniel Varisco has done the field a service by launching the debate, and so have the editors by recording it. Stanford: Stanford University Press, 2010,200 pp.